Marc Zaccaria joined the Etude team in the role of Winemaker in May, 2017. 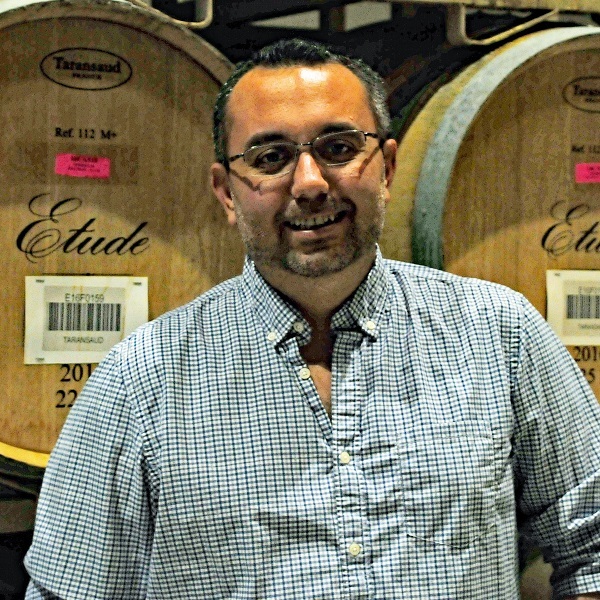 Marc transitioned to Etude from his previous role in Paso Robles as the Chateau St. Jean Assistant Winemaker overseeing the California tier. Marc was also very involved in both Masstige and Luxury wines produced at Paso360, in particular, assisting with Lyric by Etude wines. Marc joined Treasury Wine Estates in 2007 as a winemaking Intern upon graduation from California Polytechnic University in San Luis Obispo (go Mustangs!) where he originally studied bio-chemistry with a path to go in to Pharmacy. Marc changed his major to Enology after discovering a passion for wine while tasting through Paso Robles and the Edna Valley wine countries with friends. He ended up with a B.S. in Enology after 3 years of studying bio-chemistry. Marc then joined the Meridian team permanently, briefly in the lab, then as Assistant Winemaker for TAZ. Marc grew up as the youngest son of a first generation Italian-American family where wine was always a staple at the dinner table. From an early age Marc remembers being handed a glass of diluted red wine as part of the evening supper ritual. The heritage of wine being prominent at the dinner table combined with his enthusiasm for chemistry nurtured an eagerness in Marc to learn as much as possible about the winemaking process. Over the past decade, Marc has gained valuable experience and demonstrated a broad understanding of winemaking across all tiers. His travels have taken him to Australia, where he made wine for Wolfe Blass in the Barossa Valley, as well as Sonoma where he worked at Chateau St. Jean in 2015. Marc’s passion for wine, his thirst for knowledge and easygoing nature are a tribute to his character. Marc and his wife Megan, along with their dog Gruner all reside in the Napa Valley community.